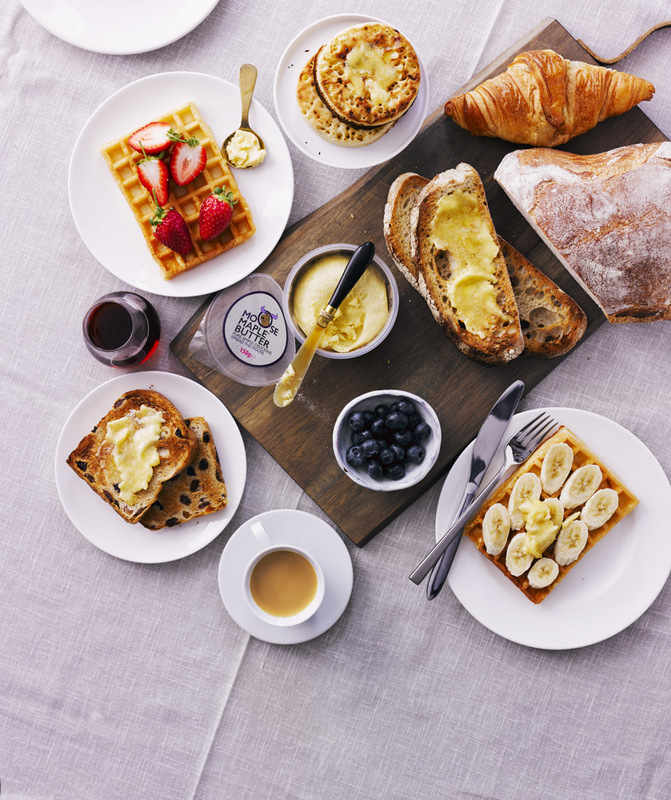 Read how breakfast in New York – and the realisation that there was no branded maple syrup butter in the US or Canada – inspired Farrah B to create Moose Maple Butter. Where did the idea for Moose Maple Butter come from? Moose Maple Butter was first conceived early one morning in New York (I was working out there), when a thick slice of hot, buttered toast was in urgent need of a something sweet. Being on a health kick at the time and determined to avoid refined sugars and artificial sweeteners meant that none of the jams or the chocolate spread available at the breakfast table would do. However, the maple syrup on the table (this was New York after all) caught my eye and checking it was natural and pure, I poured a little on my toast: the sheer decadence of the combination was a revelation! And so I started making it at home. For myself. For family. For friends. And the demand sort of grew from that – with school mums and Dads asking for tubs and sending me photos of happy kids (Moosers). I drew the logo myself and bought tubs and labels from small batch suppliers. It wasn’t meant to be a business! It was only when I started posting some of those Mooser photos on a Twitter and Facebook account that bloggers and Whole Foods and Nigella started to comment. And it all went from there! What is Moose Maple Butter? And why now? There’s definitely a move towards clean eating in the UK; towards more wholesome and natural foods. And Moose Maple Butter is just that – a wholesome alternative to jams and chocolate spreads that are full of refined sugars and other ‘non-wholesome’ ingredients. Our target audience is the food conscious millennial, young parents and kids. Having said that, we have lots of older Moose fans who are swapping out their sugar-laden marmalades for Moose Maple Butter. I like to think the target is the increasingly health conscious Nutella lover! We mainly spread the word across social media – particularly on Instagram and Twitter – and have some great foodie bloggers who help us shout about benefits of real butter and pure maple syrup. We sometimes collaborate with some people who know people, and we find that most people spread the word themselves after trying Moose Maple Butter. Social media has been our most successful marketing strategy – in particular running competitions for giveaway tubs and collaborating with foodies. 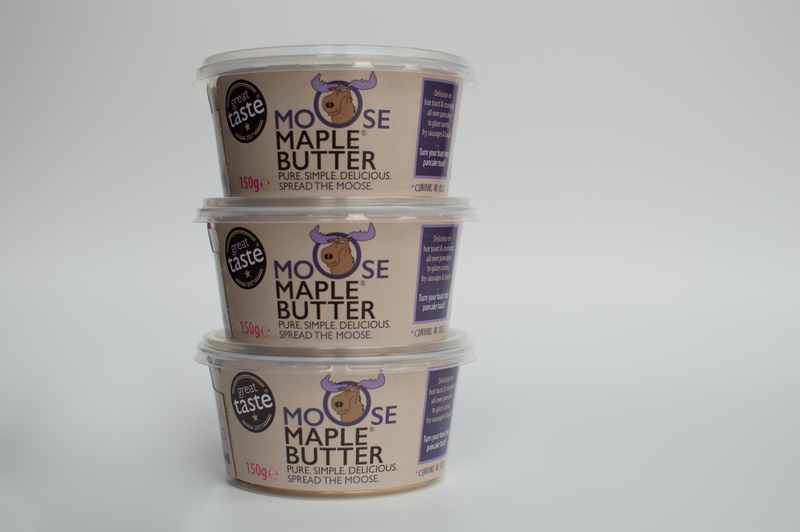 We’ve had Nigella and GBBO’s Nadiya Hussain comment on our Twitter feed about loving Moose Maple Butter and that of course, although not so much a strategy, was some great marketing for us! Sampling is always a good way to get the word out – particularly with a first to market product like Moose Maple Butter: people don’t know that they need it until they try it! The biggest obstacle I’ve had to overcome was when it came time to scale up from my kitchen table. It wasn’t easy finding somewhere willing to work on initial smaller batch productions but the perseverance paid off and now we have the perfect production team out in SW Wales. Welsh cows are the best! Three years ago, I didn’t know anything about the business and I’m still learning by making mistakes – sometimes costly ones. The important thing is to have fun. 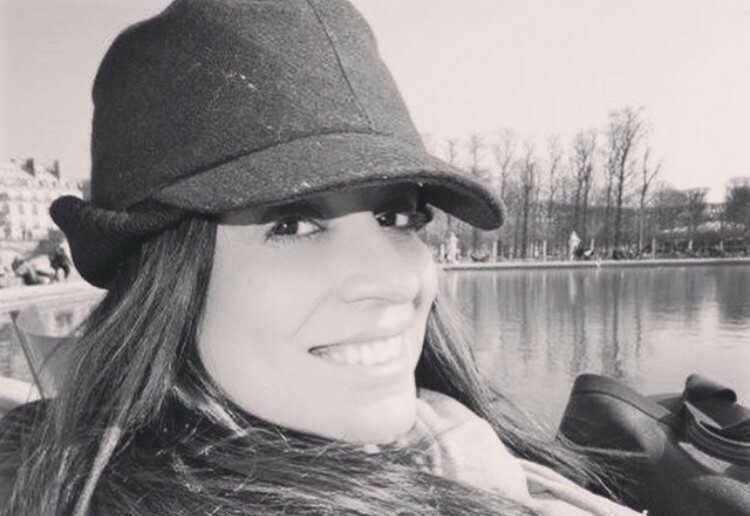 I didn’t want to start a business for the sake of starting a business. I wasn’t looking for something to do – goodness knows I have enough on my plate. But if there is something that you want to see in the world and it’s not already out there – then you have to build it or create it. And if that means a company manufacturing butter, then well- you have to do it. Being “first to market” with an innovative product is a lot harder than I imagined. It would be a lot easier to just produce another chocolate spread or nut butter (despite pre-conceived ideas about competition). With Moose Maple Butter – people don’t know they actually want or need it because they haven’t had it before. Once they try it – they love it (mostly) but I can’t practically walk around everywhere with a toaster under my arm! Aside from Nigella’s tweet, our proudest moment so far has been when Selfridges got in touch to stock Moose Maple Butter! It was totally unexpected and more than we had allowed ourselves to dream. At the point they contacted us – production was still run from home and we were mainly looking at stocking in small delis and farm shops. It was also amazing to make the Telegraph’s Editor’s Choice List for must have products. 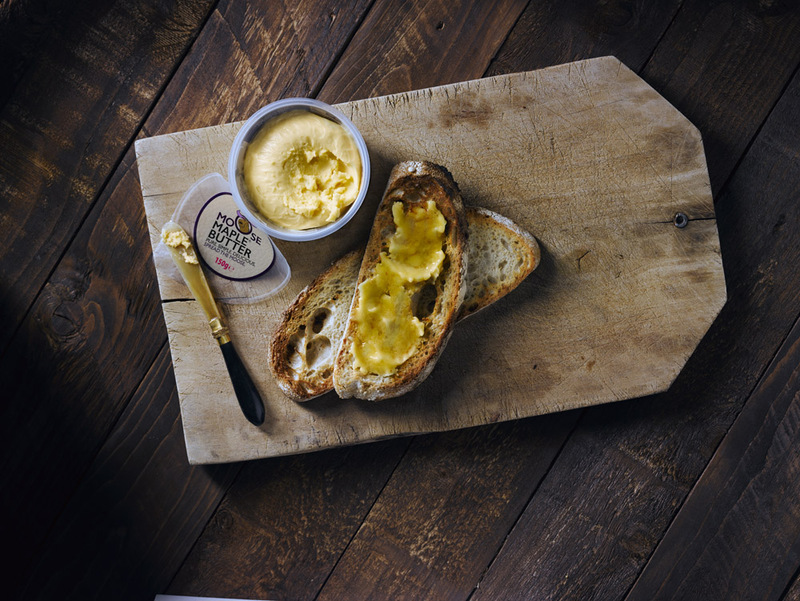 Winning Gold for the Best Flavoured Butter of 2017 and Silver (we were beaten by a drinkable yoghurt) for the Best New Dairy Product of the Year at Nantwich International Dairy Show last year was also pretty thrilling. My mother’s work ethic; the importance my father placed on family and friends. The managing partner at the first law firm I worked at inspired me to never accept less than my dreams. Aerin Lauder is a mentor and inspiration. The success of the Innocent smoothies guys – building something in a new market – keeps me focused and determined. I am also inspired by Blake Mycosie – the founder of Toms – and his emphasis on corporate social responsibility. And all the “entrepreneurs” and bloggers around me who offer support and advice so freely and generously- genuinely wanting me to succeed: that’s a daily inspiration. Plus my celebrity inspirations (because you have to have some!) come from Emma Watson and Michelle Obama for grace and a determined attitude to make a difference. I want to be like all these people!! Running a business is all consuming and takes up so much time that I find there’s little left to pursue my hobbies and interests but I do love to read and to paint: I’m planning an art exhibition in the late summer in London. I love spending time with my nieces and nephew at the weekends when we’ll have huge three-course breakfasts (we’re all Hobbits really!) and I’m also involved in projects to empower women and girls around the world. And to top all that, I’m a lawyer “by day”. Needless to say, I don’t sleep much. The food industry is a difficult place to be in; court and the law in general seems almost a breeze in comparison! Everything is so volatile and so many really wonderful products are here today and gone tomorrow. I think it’s essential to identify a gap in the marketplace, have a product you believe in and build a good, strong brand. Just focus on the details and the big picture will appear. Three other important things you’ll need – determination, lots of tea and a thick skin – probably in that order! You can find out more about Moose Maple Butter on their website.